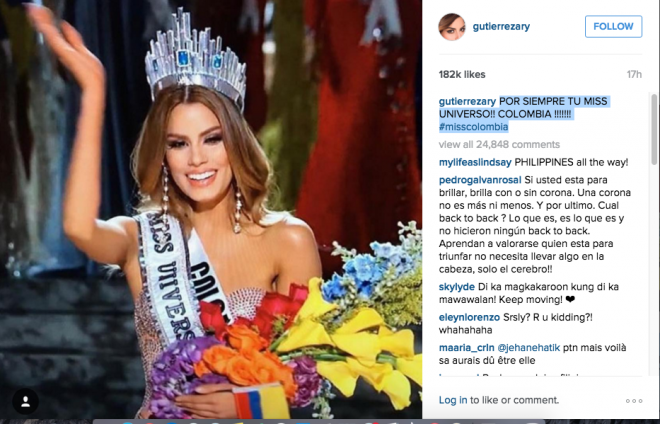 Miss Colombia Posted Her Picture Wearing the Crown with the Hashtag #BacktoBack! 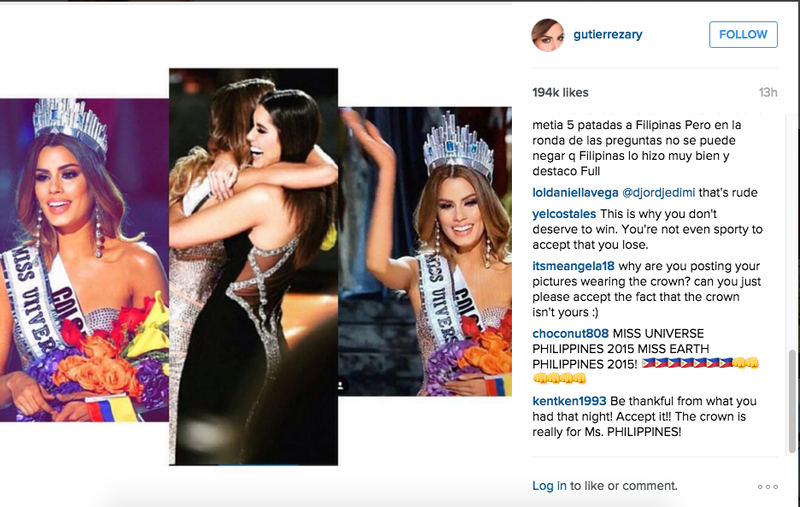 Recently, Miss Universe coronation night became viral online. It is when the host, Steve Harvey announces the wrong winner. Instead of Ms. Philippine; he declared first that it is Ms. Colombia. Colombia’s pride, Ariadna Gutierrez held the crown for a few minutes before Harvey stopped the preceding and admitted his mistake for wrong declaration of winner. To adjust the scene, the crown was taken off on Gutierrez and given to Wurtzbach. Miss Columbia you could stop posting the pix you are wearing the crown. It annoying and childless because for once you are the runner up not miss universe, it was just a honest mistake. At the same time you are embrassing yourself. The world know you took the crown away from miss Philippines for about 4 min due to the mistake Steve Harvey made. It was not your at the first place so to save yourself for more embrassment stop posting pix with crown that do not belong to you.